This is some "old" pics of a test I did a few years back when deciding upon the right way (for me) to glue the plywood skins on Divinycell H60 & H80 (or the equivalent Airex C70.55 or C70.75). 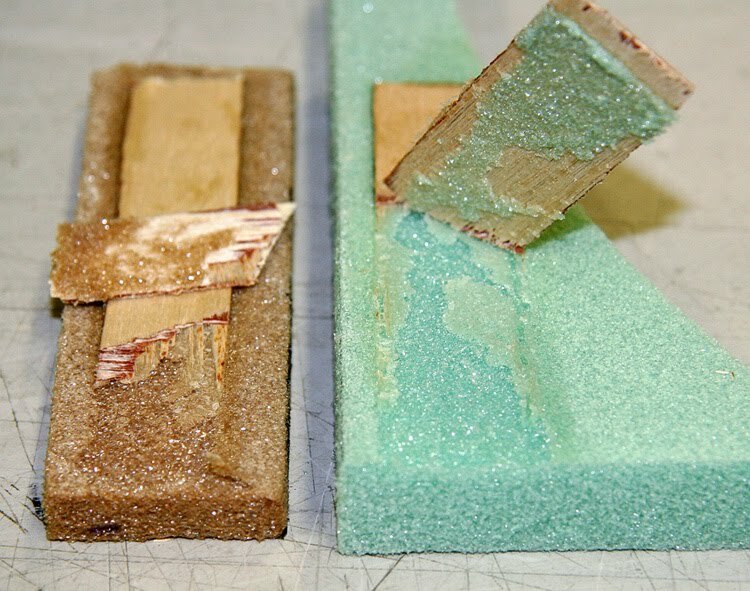 These foams (cross-linked PVC) are very good for making sponsons and they can handle normal CA glue. 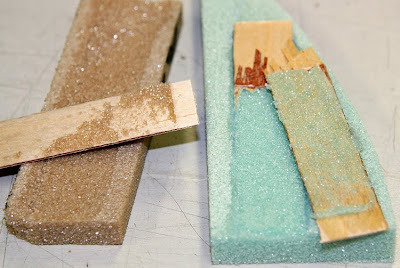 In fact when I did this test it showed better glue joints with CA glue then epoxy actually! Glue test, Divinycell H80 to the left & H60 on the right. 0.8 mm plywood. 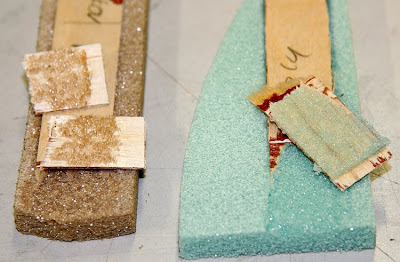 Great Planes Pro CA kicker on foam (no glue pre-applied on the foam). Zap CA+ green on plywood. Will properly not work that good as the CA on bigger surfaces has time to sink into the plywood a little too much. Maybe could work better if an slow version of the CA is used. Left overnight to set properly (one wouldn't crash test a sponson after just a couple of minutes, right?) - it sat good after a couple of minutes though. Glue test, Divinycell H80 to the left & H60 on the right. 0.8 mm plywood. No kicker used at all. Zap CA+ green on the foam (none on the plywood). Dont use this method - trust me. It seems the air in the foam pores makes the CA not to set at all it seems. After 3 minutes I could lift the plywood from the foam - nothing had happened. Left overnight to set "properly", well I hoped it had set by then... To my surprise it actually had. But the glue joint is no good. Glue test, Divinycell H80 to the left & H60 on the right. 0.8 mm plywood. Z-poxy 30 minute. Left overnight to set properly. To my surprise, the glue joint was quite good... I had tested earlier with the 5 minute version and that was just a sad sight. 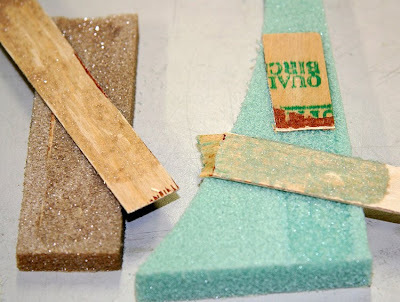 With 5 minute epoxy it was just a "glue skin" on the plywood when bending it loose. 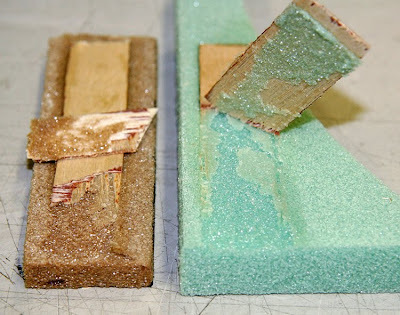 With the longer hardening time the epoxy seem to creep into the foam making it a better glue joint.